If you don't like the path your life is taking you, it is because of the choices you have made. 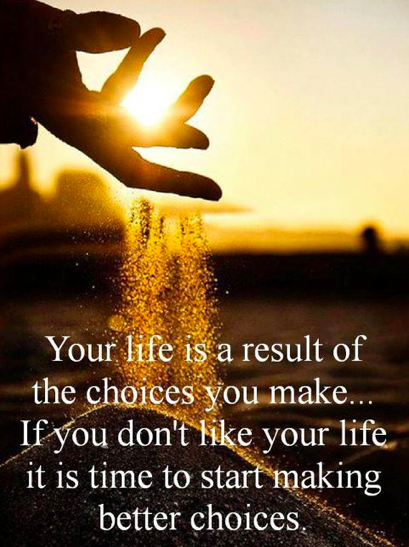 Re-evaluate your life and determine what changes you need to make. There is no need to continue onward if you don't like where you currently stand. Your life is a result of your own choices. This great quote was shared on Pinterest by Angela DeGrazia, via Eliza Jamison.